The ability to control literally every single pixel of the image, and layers above or below it, meant that impassioned visualists could pack the frame with more events than the human eye can possibly take in or record. NY Press critic Armond White spoke briefly to this in his review of the film Transformers, another movie to which I’d had this salient gut response. 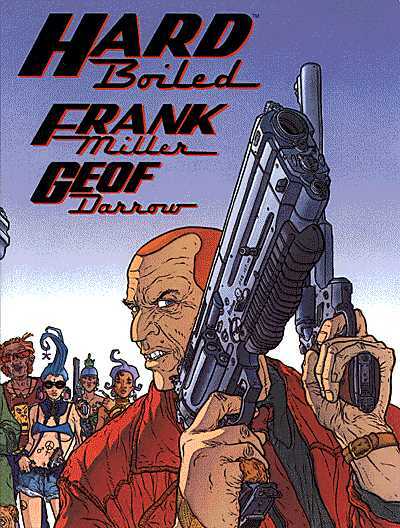 Similarly, I remember reading Frank Miller’s Hard Boiled in the ’90s, but what I recall more were Geoff Darrow’s rabidly meticulous renderings of urban bedlam and wild slaughter. Each panel seemed to be capturing the shock, rage, fear, or dismemberment of thousands, simultaneously. It would have taken a person seemingly days to consume any whole spread, like a “Where’s Waldo?” on angel dust. This is a fact in which Darrow’s Hard Looks collaborator, Andrew Vachss, apparently takes some relish, in this b&w, window-by-window exploration of their book’s original color cover, one far less complex than the pictures in Hard Boiled, by the way. It was only in researching this post, however, that I learned, post-Miller, Darrow had gone on to work as conceptual designer for The Matrix series, created and directed by Larry and Andy Wachowski. Which brings this full circle, as the Wachowski Brothers are writing/directing the new Speed Racer (out May 9, 2008). For anyone of my generation who remembers mornings in the ’60s, filled with the opening fanfare of the original anime, right, or who just dug Ghostface Killah’s appropriation of the animated Speed for 1996′s “Daytona 500,” this movie can’t get here soon enough. What’s way cool about Speed Racer, though, if the trailers are any indication, is the way that, as with The Matrix, but even more so, the Wachowskis seek to give anime’s angular and nervous lines a hyperdense, real-world corporeality. Watching the trailers, every frame pulses in rich, bleeding colors, almost as if you were watching jellybeans nervously overdosing on LSD. The sheer velocity of the imagery, rather than convince you that you are watching a real race, has a subtler, more nervous system-hacking effect, something like seeing data in your own neuronal wiring amplified one trillion-fold and splattered across the screen. This may have been at what experimental filmmaker Tony Conrad was aiming in his 1965 film, The Flicker. A work that consists solely of opaque and clear frames, Conrad’s film altered the timing of the cels until a stroboscopic effect dominated the visual field, allegedly creating a reaction in certain viewers like the one experienced by numerous Pokemon viewers decades later. In an interview, Conrad described The Flicker‘s key objective as exploring “the possibilities for harmonic expression using a sensory mode other than sound.” I’d urge that something like that is going on in Speed Racer. Unlike Conrad, however, the Wachowskis are working with a seemingly infinite sensory palette. 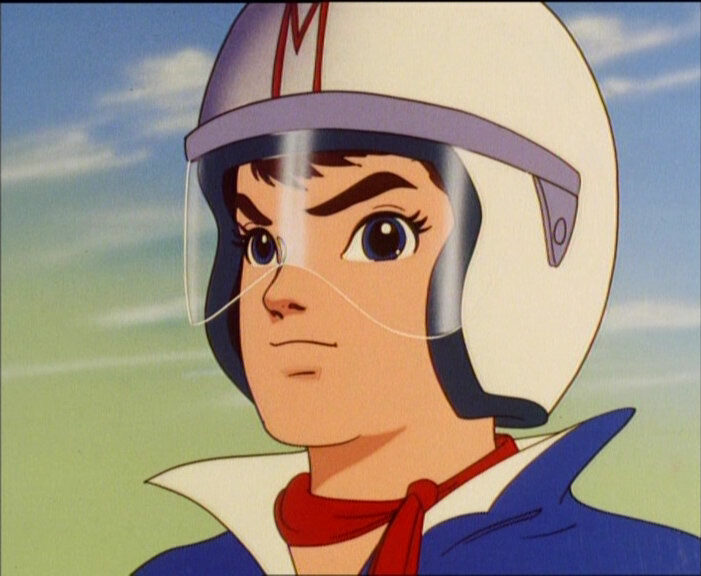 On that level, solely, Speed Racer looks like it’s going to be a startling, eye-tearing wonder to behold. Come May 9, it’s time to jack in again. Thanks Hollywood. For taking our work and turning it against us. Again. In the trailer the Mach V looks like one of those cheap plastic toy cars that gumball machines spit out for a quarter. Why don’t the come up with a special effect that turns a crappy screenplay into a good one? Now that would be something.